Would you like the mainstream public to see Reiki as an appealing and comfortable option, a practice that can help them stay healthy, and support their wellness when they need medical care? Do you know that social media is rapidly replacing conventional press as the way to get your news and perspective to the public? 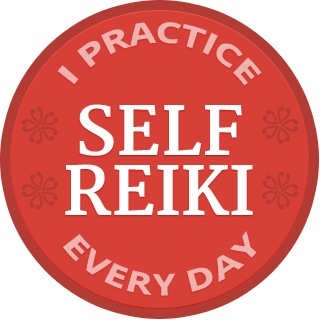 Let’s take advantage of social media to offer the mainstream public–and conventional health care–a credible perspective on Reiki. Credible is critical, because we want them to see the possibilities Reiki offers, rather than decide that Reiki is too far out to be relevant to their needs. It’s up to us. The ball is, as they say, in our court. But wait–have I left some of you behind? Is anyone asking, what is social media? Social media is the recent trend for people to share news, information, and content through social networking sites such as Facebook, LinkedIn, and Twitter, accessed on their computers and smartphones. It’s social because we’re sharing directly with other people, not through a news agency. Often we’re interacting with people we know only online, people who have nonetheless become a valued part of our community and our social experience. Social media enables us to create social networks that were not possible ten years ago, according to our interests. This connectivity is changing media, and changing society. The power of social media is wresting control from traditional media industries and enabling anyone with a message and the commitment to share it (aka you and me) to do so on an unprecedented scale. If you’ve reached this from my blog, or found the link through ReikiUpdate, Facebook, Twitter, or LinkedIn, you’re already participating in social media, even if you’re just getting your toes wet. The new world of social media can seem overwhelming, even scary. It is certainly awesome, and can be intimidating at first. But I want your voice to be part of the conversation, and I’m here to help you join in. I will give you an overview, a primer, an entry plan to get you started. A sweet intro, the few things you want to avoid, and a some simple strategies that will make the world of difference. We’ll also talk about commenting on blogs, and I’ll share a lesser known site that is a real gem of a resource, a place you’ll return to again and again to get your questions answered by the nicest people online. Participating in social media is not just a service to the field, it’s also a huge support to you, putting you in touch with a worldwide community of Reiki practitioners, and providing opportunities to hone your communication skills. And if you have a website, your social media participation will drive traffic to it. Now that’s a real good thing! What time is the webinar where you live? Click here to find out.